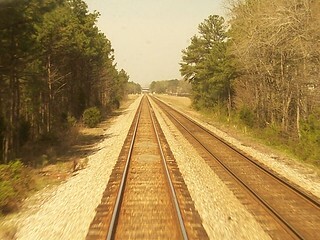 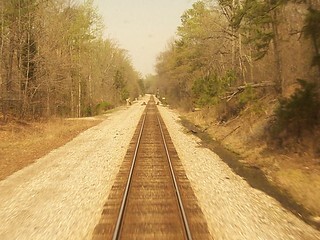 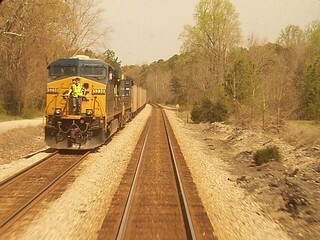 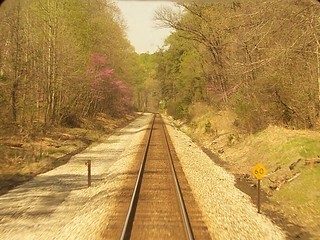 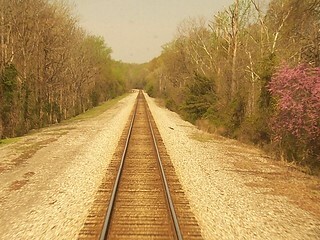 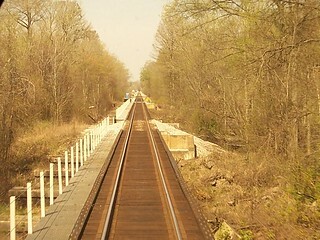 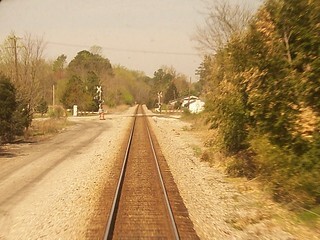 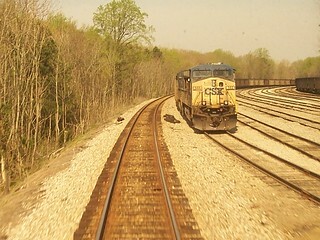 A CSX freight waits for us to pass. 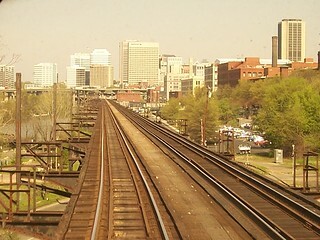 Richmond rises in front of us as we cross a long viaduct. 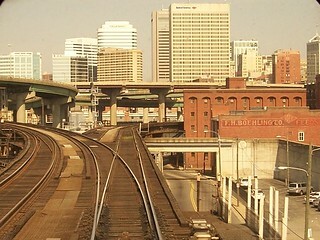 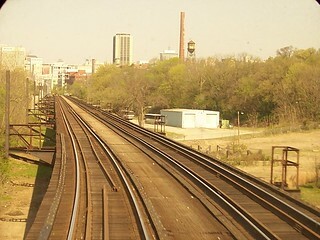 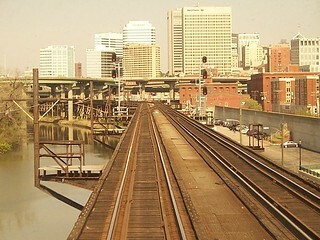 Our train heads to the right to the Richmond Main Street station.